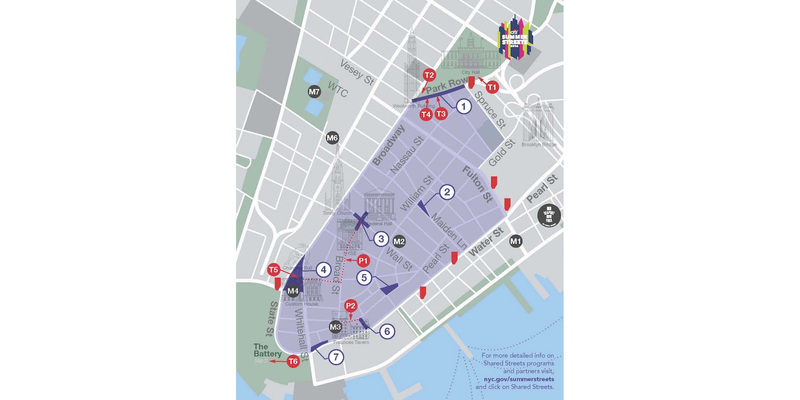 THE NYC DOT’S “SHARED STREETS: LOWER MANHATTAN” will take place Saturday, August 13 as part of the annual Summer Streets program. Frankly, it looks like the weather will not be good, but the rain will come and go, and this will be an important step towards the type of streets and street life we need in New York. Eighty percent of Manhattanites don’t own cars, and only twenty percent of Manhattan commuters get to work by car—but we continue to give most of our public realm to motor vehicles traveling at speeds that kill pedestrians. This entry was posted in Events, Street of the Day, Vision Zero, Walkable. Bookmark the permalink.